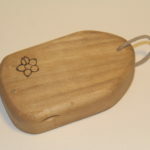 keep the wax from leaving a sticky, melted residue behind. 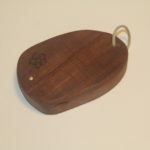 Our wooden handmade surf wax holder solves this and looks good with it. The perfect gift for any surfer. 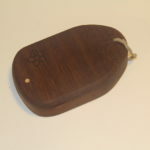 Made from wood offcuts, reclaimed wood and driftwood some may still hold the characteristics of its previous life. Inspired by the pebbles found along the beaches of Pembrokeshire. 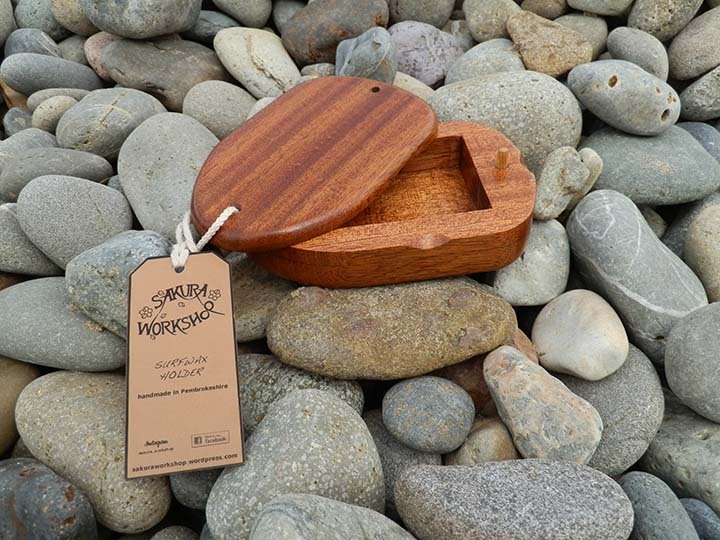 Sakura Workshops surf wax holders, no two will be the same. 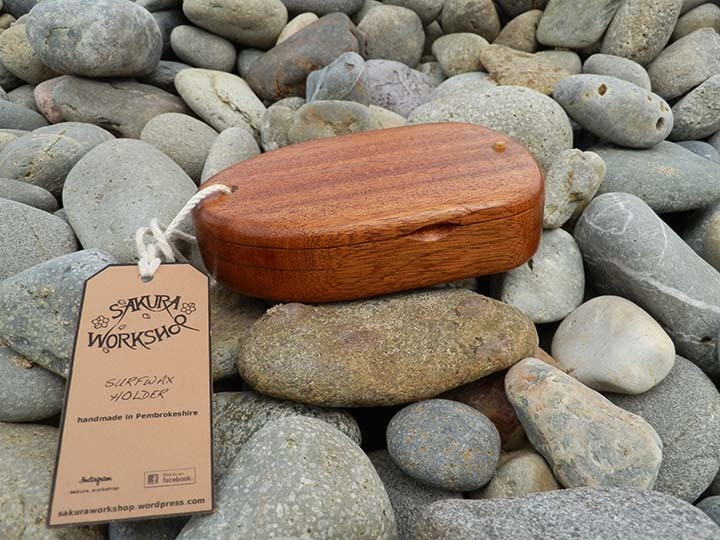 Made to fit West Coast Surf Wax a Pembrokeshire based surf wax company, the compartment size is 82mm x 65mm and can hold other brands of wax within those dimensions. 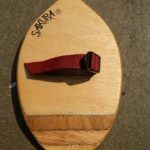 West Coast Surf Wax block is included in the price, and will come with either base coat, cool water or cold water surf wax.